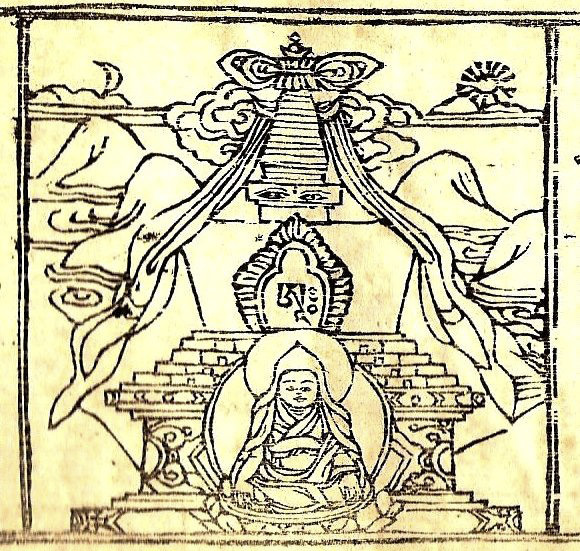 The Shangpa Kagyu tradition has had close historical connections with the Jonang since the sixteenth century. Starting with Kunga Drolchok , and his lineage successor Taranatha , the Jonang and Shangpa transmissions have passed in sync up to the present day. For more on these connections see the post, On the Shangpa & Jonangpa . Jonang Foundation is happy to announce that we have financially supported twelve impoverished schools in the Gyarong region of eastern Tibet. Over the last few weeks we have been proudly promoting a Kickstarter campaign for the new documentary, Whispering Mountains: The Living Presence of the Jonang . Only five days remain to fund this campaign on Kickstarter! The film project is being undertaken in collaboration with the Jonang Foundation, and the principal photography will begin in just a few weeks. We will later expand production to the U.S. The film explores the Jonang tradition of Tibetan Buddhism, long believed lost to the culture, which has in recent decades been revealed largely through the work of Jonang Foundation and its partners,to be not only surviving, but thriving and vital! In the summer of 2004, we decided to build a schoolhouse for children from local families and orphans in the nomadic region of eastern Tibet. A year later we had constructed a temporary school made of cinder blocks and inexpensive materials to house the more than 35 students who were sent by their parents for an education. By the spring of 2006, we broke ground for the construction of Losal Ling Primary School or The Oasis for Clear Learning . Jonang Foundation has recently embarked upon the Jonang Nuns Project . This project was initiated during the Summer of 2007 in order to provide greater care for women Buddhist practitioners in Tibet. In particular, the project is concerned with raising funds in order to provide Jonang nuns with the necessary resources for housing, education, and meditation practice.